Guys. Our puppy LOVES me. I mean, he REALLY loves me. He follows me everywhere and always sleeps at my feet and I’m so happy he came into our lives. 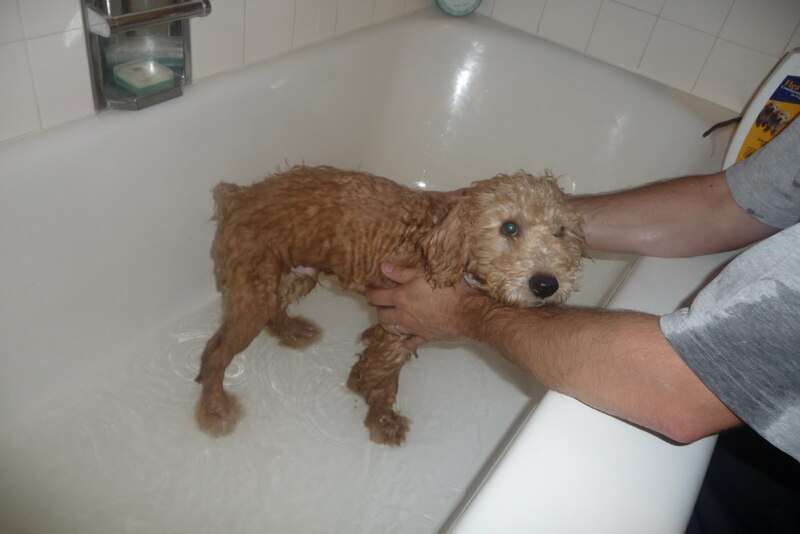 Here’s Jackson during his first bath at home. He’s so skinny without all that fluff! 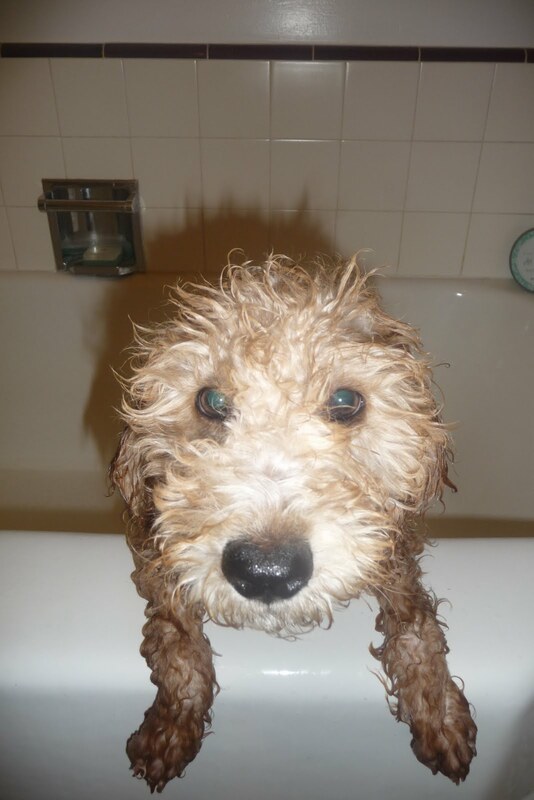 He loves to play in the water, but he didn’t love taking a bath. 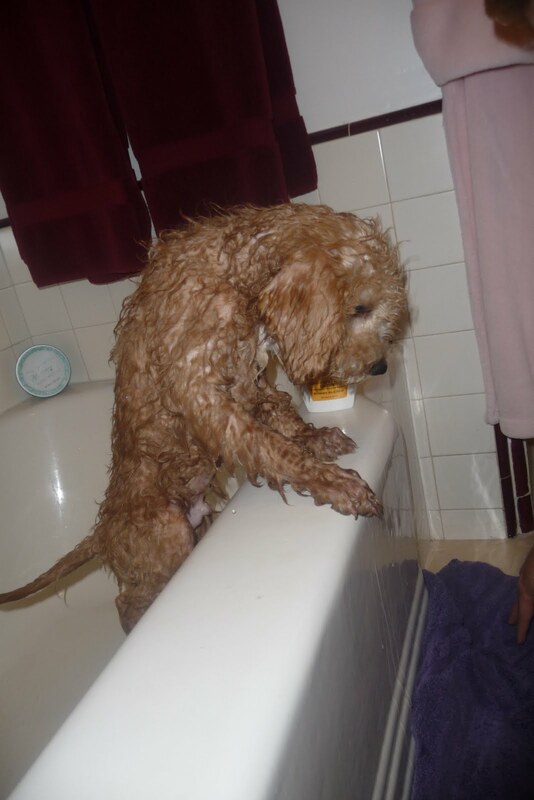 Does any dog love bathing? Aw, he is too cute! Look at that little face! Aw, I want a puppy! This is wonderful!! How cute! !